We’ve long known that showers are far better for the environment than baths, and that shorter showers save water, so the inevitable next step is for household shower fixtures to be designed specifically to reduce water usage. 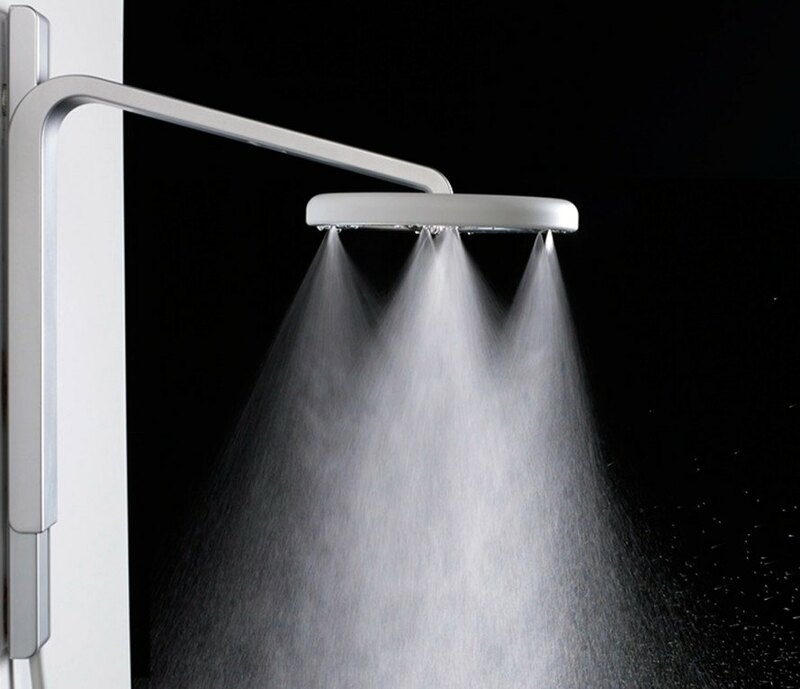 And that’s exactly what Nebia has done with this fantastically stylish showerhead. Featuring an overhead spray and a handheld wand, the set up atomizes the water into millions of tiny droplets that cover 10 times as much surface area as standard showerheads to drastically reduce water and energy usage. The Nebia has been five years in the making, and was created in partnership with industrial design firm Box Clever. What Nebia’s makers wanted to change was not just the water wastage associated with the standard straight-down spray of household shower heads, but they also wanted to address the energy that is wasted by hot water bypassing the bather and heading straight down the drain. With the water atomized to cover 10 times the standard surface area, and a showerhead that is highly adjustable, Nebia claims to have created some pretty spectacular water savings. The standard shower uses a massive 2.5 gallons of water each minute; those that qualify for EPA Water Sense certification use two gallons a minute. But the Nebia cuts that efficiency rate by more than half, using just 0.75 gallons of water per minute. And that’s not just a saving for the environment, it also goes directly into the owner’s pocket—Nebia claims the showerhead can pay for itself in two years. Then there’s the energy savings: Nebia claims it “is 13 times more efficient at delivering the heat you pay for to your body, making your daily shower in a Nebia 13 times more thermally efficient.” Which again works in favor of both the environment and your checking account. Perhaps best of all, this whole unit comes as a single self-assembly piece—no plumbers required. The designers have launched a Kickstarter campaign, which began with a goal of raising $100,000. As of August 12, they’re nearing $1 million in pledges and there’s still a month to go. But there are still packages available for early adopters over on their Kickstarter page. We've long known that showers are far better for the environment than baths, and that shorter showers save water, so the inevitable next step is for household shower fixtures to be designed specifically to reduce water usage. 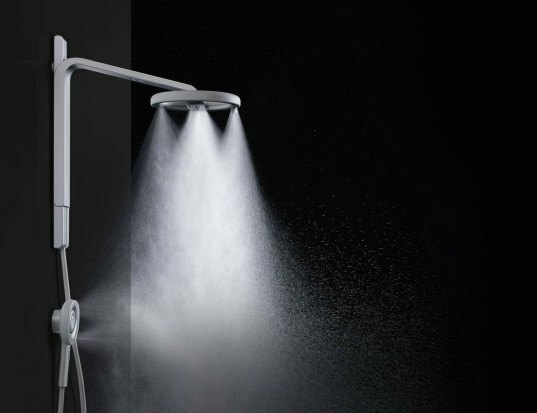 And that's exactly what Nebia has done with this fantastically stylish showerhead. Featuring an overhead spray and a handheld wand, the set up atomizes the water into millions of tiny droplets that cover 10 times as much surface area as standard showerheads to drastically reduce water and energy usage.